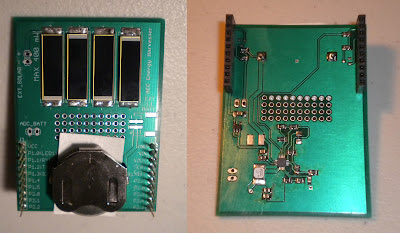 A blog about the MSP430 LaunchPad from Texas Instruments for both beginners and experts. In case you have not heard, there is a new Kickstarter for a "Solar Energy Harvester Booster Pack" built for the MSP430 LaunchPad. The people over at Athena Energy were nice enough to send me one of their boards to review. Before starting the review, I want to say how impressed I was with their communication. I received quick and helpful responses to every email I sent their way. Having backed a few Kickstarters, I can't stress how important communication is throughout the whole process. May I say, thank you; it is about time. Up until now, there has been no battery booster pack for the MSP430, let alone one with solar panels. This is insanity, considering how little power the MSP430 actually uses. Pair this booster pack up with any of these booster packs at the 43oh store, and you have a great project in the making. The board looks great and comes with stackable headers, as any booster pack should. When the board came, the battery was disconnected using a "battery tab" (a piece of paper); a nice touch. Here are a few pictures. The ability to plug in an external solar panel and an external lithium battery is a very nice feature. While the prototyping area is small, it is large enough to solder on custom connectors for various purposes. The silkscreen is clean and provides useful information, such as pin descriptions and information on the battery. It is obvious to me that great care was taken to ensure the operating current of the shield was as small as possible. Measuring from the battery, the board used only 27uA of current when not plugged into the MSP430 (if my Fluke can be trusted). Before plugging the board into my LaunchPad, I wanted to run a few tests first with my multimeter. The lithium battery was sitting at 4.02V (fully charged) and the regulated output was 3.37V, as expected. One feature I would like to see in a future version of this board, would be the ability to adjust VCC from 3.3V to a lower voltage. What else can I say? The board just worked. It really was plug and play. The booster packs dimensions are pretty standard and the solar cell location is also well thought out. The battery also charges as expected when fully drained. The board functions exactly as advertised. The people over at Athena Energy really care about making this board as good as possible. They have listened to all the feedback I sent them and have helped me with any problems I have run into. They really are very knowledgeable. Take a look at the update section in their Kickstarter; they are planning on adding new features to the final design. I highly recommend signing up for the fully assembled version of this booster pack. While those of you that have a toaster oven "reflow oven" will be able to solder this up yourself, QFN packages are nearly impossible to solder by hand. Although the assembled board is pricey, I believe that it is worth it. 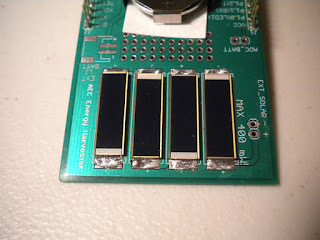 This great chip from Texas Instruments is very underutilized in hobby projects due to the package it comes in. Additionally, since the solar cells and battery are included; it literally contains everything you need to get started on a battery powered project. As of today, there are 16 days left on the Kickstarter. Let's get the word out and help them meet their funding goals. The convenience of this board is well worth it. Help me pay the bills! Timers and Clocks and PWM! Oh My! 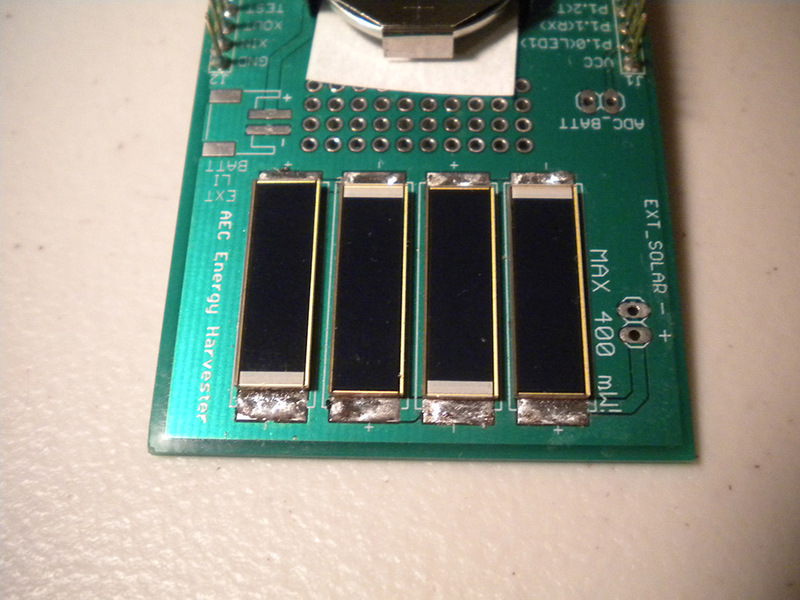 NJC MSP430 LaunchPad Blog. Simple theme. Powered by Blogger.